The overarching theme of this book is the critical importance of microstructure and defects on the physical and mechanical properties of ordered intermetallics. These compounds have great promise for a variety of diverse and important applications such as high-temperature structural materials, 'smart' shape memory alloys, hydrogen storage media, thermoelectric power sources, and magnetic applications. 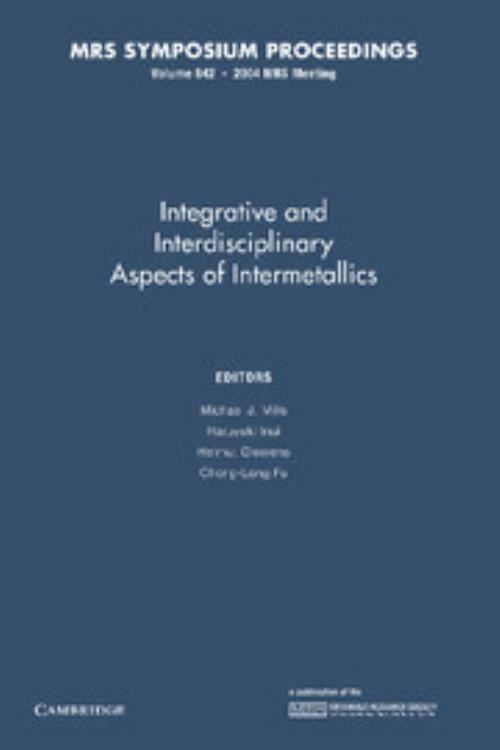 The integrative aspects of this topic are highlighted to encourage a common platform for the presentation of intermetallics research that may have very different technological backgrounds and objectives, yet in all cases require a sound understanding of the elementary processes that govern structural and functional properties - from the atomistic through microstructural scales. The book brings together researchers from around the world and underscores the tremendous progress in the field. Topics include iron aluminides, nickel aluminides, titanium aluminides, silicides, functional intermetallics (for shape memory, thermoelectric, magnetic and hydrogen storage applications) and more generic modeling of intermetallic compounds. Michael J. Mills Ohio State University. Haruyuki Inui Kyoto University, Japan.